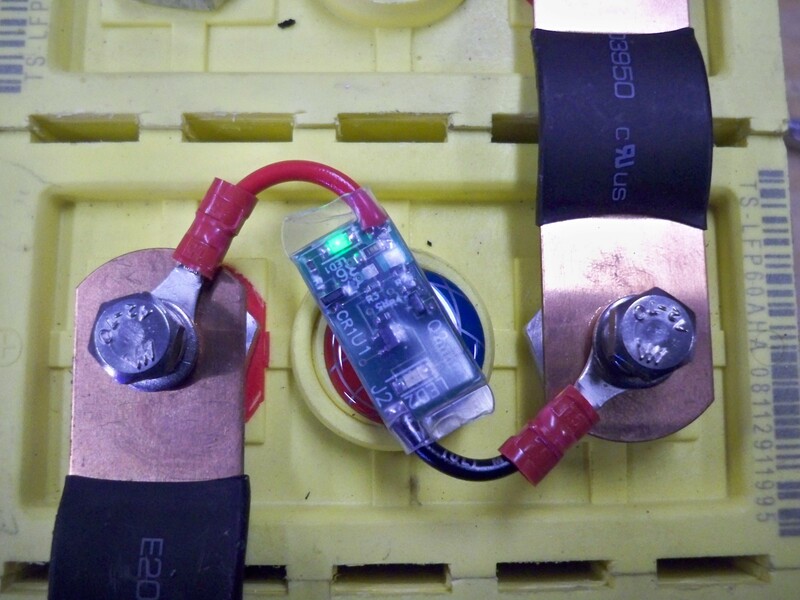 Linking multiple Lithium battery cells in a series fashion can cause some problems with un-even cell charging. Each individual battery cell is supposed to be at 3.6 volts, although the charger is only charging until the entire pack (24 individual cells in my case) reaches a peak voltage of 86.4 volts (3.6 volts x 24 cells = 86.4 volts). Unfortunately the charger has no idea if some cells are at 4.1 volts and some are at 2.8 volts. In other words, the charger only cares about the total pack voltage, not individual cell voltage. These devices attach between the positive and negative of each individual cell, they have a small integrated circuit and two LEDs. 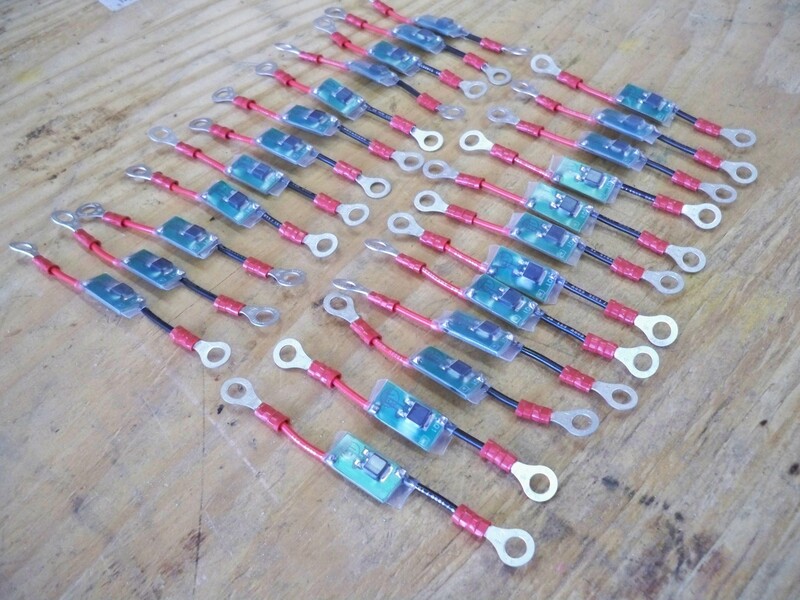 The operation is quite simple, the green LED indicates proper battery connection and the cell is above 2.5 volts, This LED is always on. The red LED indicates the cell is currently being loaded by the balancer. In other words if the balancer sees anything OVER 3.7 volts it will apply a small 0.3 Amp load to discharge the cell back to 3.6 volts. The red LED is then turned off and the individual cell voltages are then balanced. The small green LED only draws .001 amp (1mA), this is about the same as the normal discharge rate of the batteries, therefore you do not need to worry about a parasitic draw when the pack when its not in use. In this picture the charger just finished charging, and the pack voltage has reached 86.4 volts total. 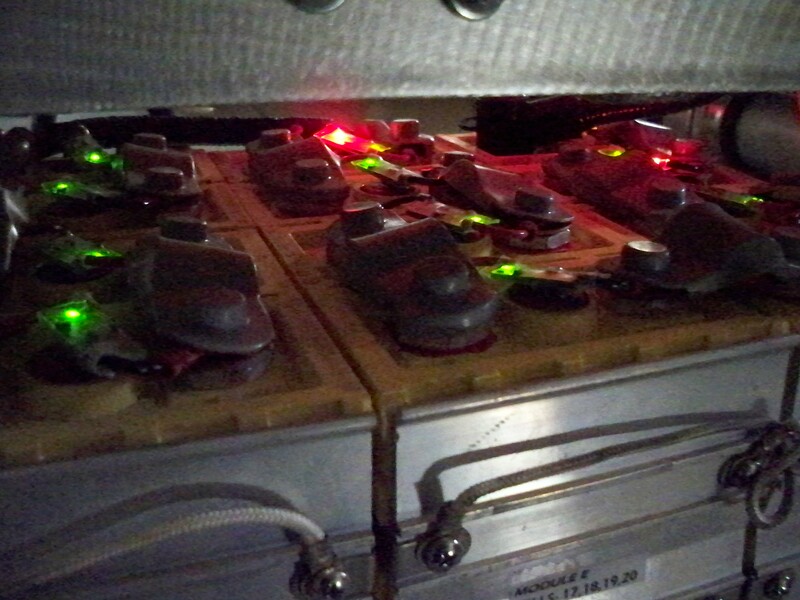 You can see there are a few red LEDs active, meaning that cell is at or above 3.7 volts. I put my volt meter to the cell and it was at 3.9 volts. 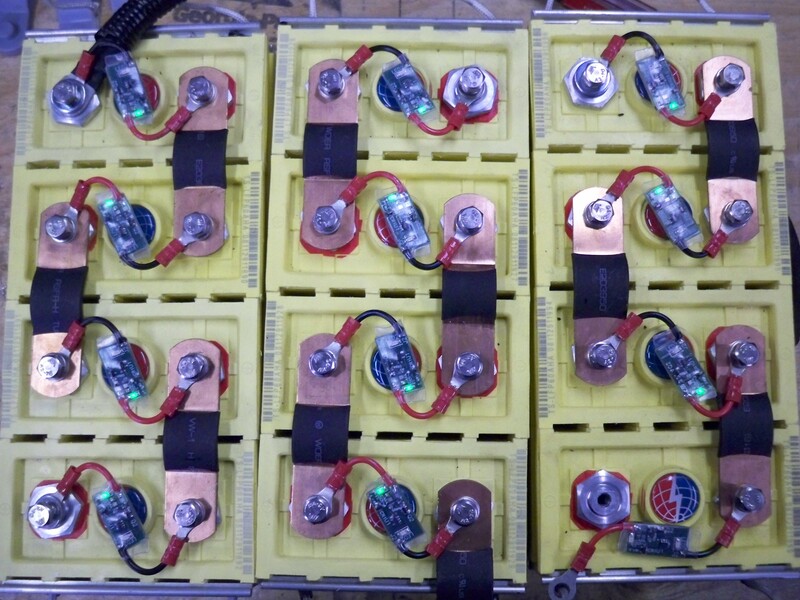 Since the balancers only draw a small 0.3 amp’s I waited about 30 minutes and they were all back to green, and each of the 24 cells were at a steady 3.6 volts! I am very impressed with these devices and believe they will make a big difference with pack performance and longevity. And at only 9 dollars a piece they are considerably less then a full battery management system which usually cost about 5 times as much and involve very complicated and messy wiring. 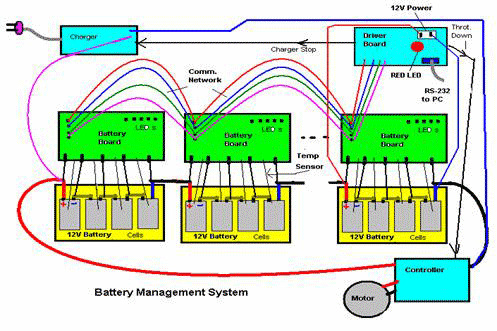 -Schematic for a complex and expensive battery management system, removal of the batteries can become a nightmare with so many individual small sensor wires going to each cell. When working with many battery cells I highly recommend numbering each cell in order to keep records of there performance. 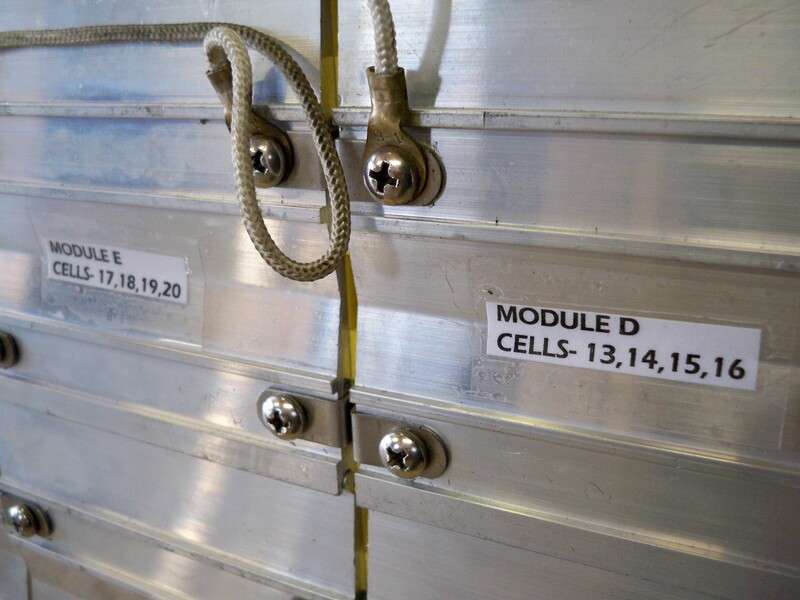 In my case there are 24 individual cells, 4 cells are strapped together to make one “module”. I have 6 module’s that make one “pack”. This method allows me to keep track if I have a poorly performing cell. 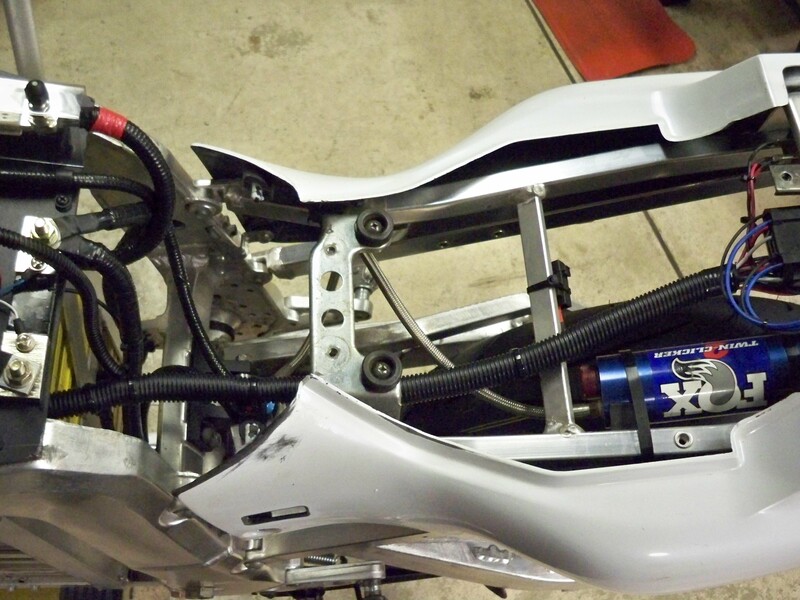 Since I had the batteries out of the bike it gave me plenty of room to loom, and secure all of the wiring in the bike. I used several sizes of loom ranging from 1/4″ to 3/4″, several black zip-ties, and wire loom hold down straps to make sure the wires do not chafe and short out. 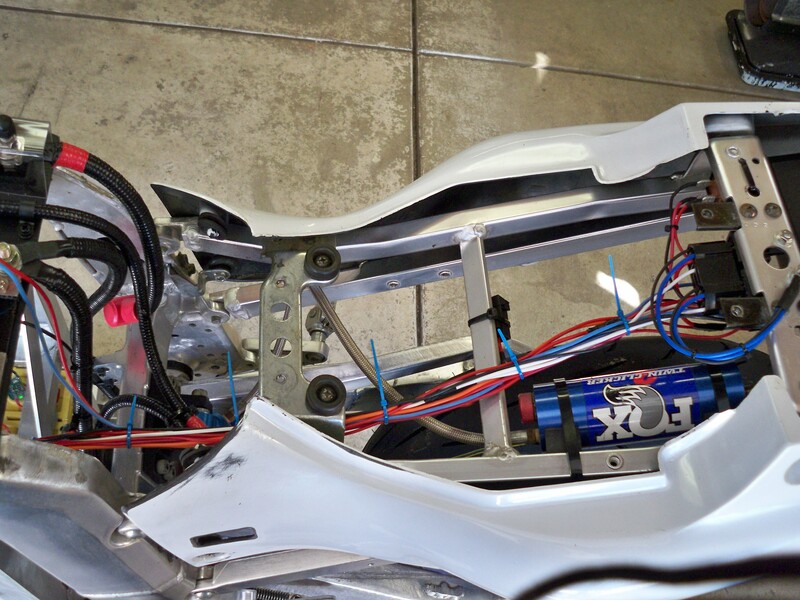 You must be careful when covering the wires from the handlebars to the frame, this is a spot where chafing and wire pulling can be a factor. Be sure to leave enough slack so the wires do not pull apart, but secure and cover them so they do not short on the frame. 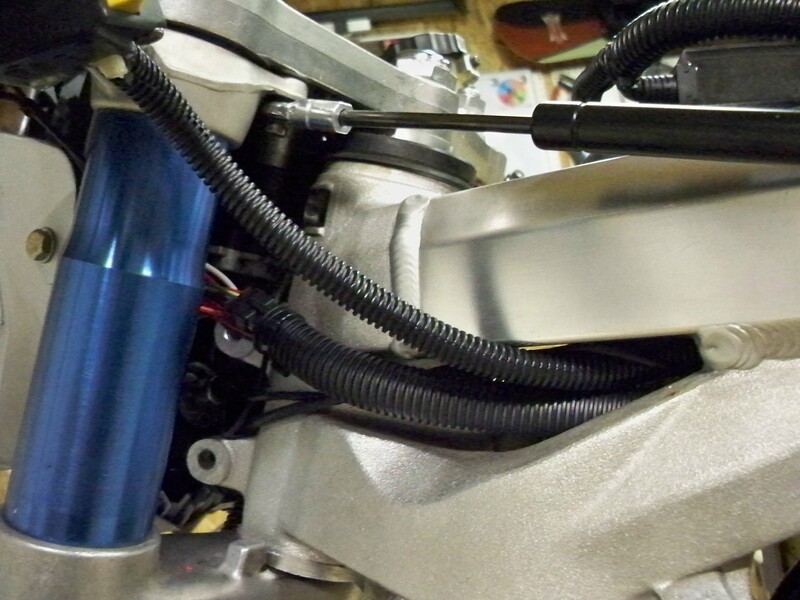 Clean professional looking wire will make your EV stand out from the rest! Never let your quality of work fade, otherwise your reputation will follow.